Join ArtsClub for a dinner party at Wallplay’s district for new ideas, “ON CANAL”, featuring ÆSTHESIA, an exhibition analyzing the human relationship with nature. ÆSTHESIA is an entirely immersive experience, inciting our senses of touch, taste, sound, sight and smell. We’ll dine with the artists to learn about the exhibition before it opens to the public the following day. Studies have proven that spending 3-5 minutes simply looking at an image of nature can reduce muscle tension, blood pressure, stress and anxiety. 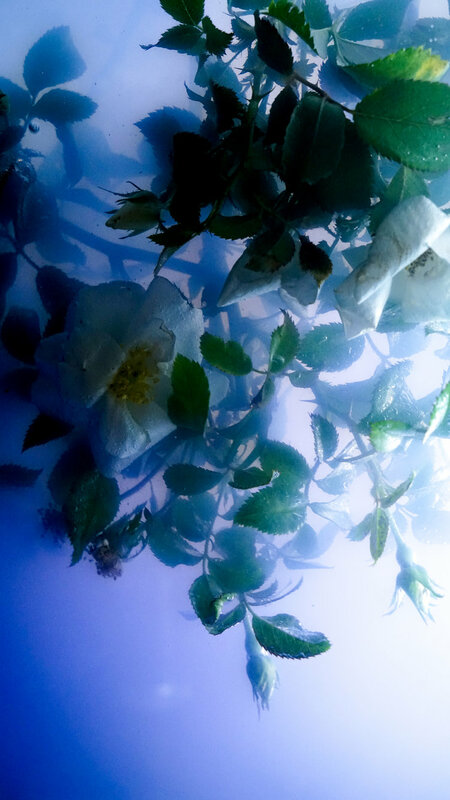 Planting the seeds for the future of digital art and wellness, ÆSTHESIA is a multi-sensory body of work conceptualized by Ashley G. Garner that explores the healing benefits of flowers through sight, sound, scent, taste, and touch. Six flowers were selected that are heavily used in modern medical practices (Chamomile, Echinacea, Lavender, Marigold, Tiger Lily, Wild Rose). Videos filmed by Garner, in collaboration with floral artist, e p h e m e r a, create setting's for each flower to be in their own "world". Videos are paired with sounds recorded from the actual vibrations of each flower by musician, ALURIA. Scents designed by Smithsonian exhibited olfactory artist, Christopher Brosius, and rock candies with flora extract created by NYC chef, Tessa Liebman, expand upon the holistic experience of each flower when presented in physical spaces. Lavender: Treats anxiety, fungal infections, hair loss and wounds, insomnia, depression, nausea, restlessness, digestive problems, menstrual pain. Wild Rose: Treats wounds, parasites, inflammation, calms the nervous system, antioxidant, and packed with Vitamin A, B, C, D, and E.
Marigold: Treats infections, muscle spasms, swelling, improves blood flow, and slows down skin damage aging effects. Treats infections, muscle spasms, swelling, improves blood flow, and slows down skin damage aging effects.